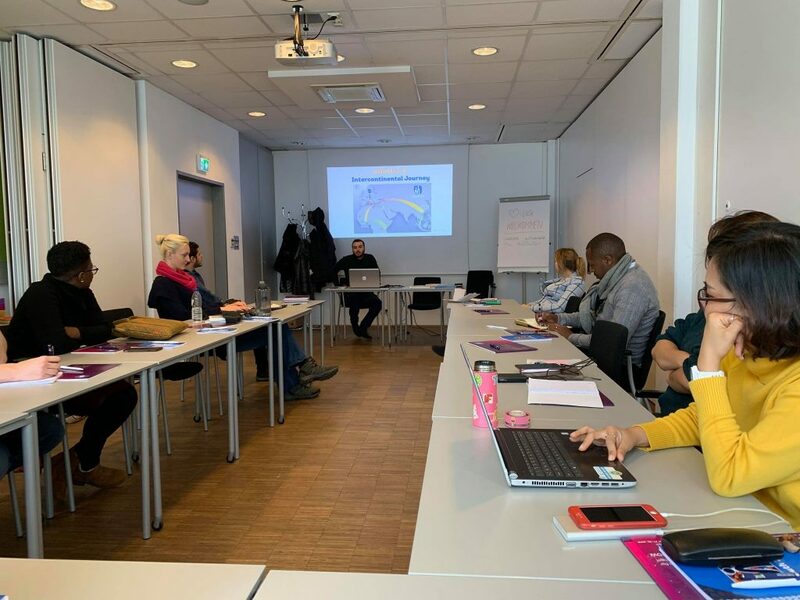 From the 30th January to 2nd February the partners of the mYouth 2.0 consortium gathered in Salzburg, Austria for the final evaluation meeting to announce the closure of the project`s activities and celebrate the achievements! Representatives from 13 partner organizations, coming from 12 countries from Asia, Africa and Europe, shared lot of inspiring and life-changing moments, acknowledging the intercultural and intercontinental learning the project provided. They emphasized the impact of the project and the opportunities the project gave to young people eager to improve their mobile apps and gain new life skills in order to make positive change through the use of the new technologies. The partners also analyzed the project implementation and reflected on the previous intense year full with exciting stories and experiences, and gave valuable insights for the next endeavors of the consortium. We are extremely happy to see that the hard work really paid off and managed to empower and connect hundreds of young people and ideas through continents. We are also honored to have known and worked with such amazing partners without whom this second edition of mYouth would`t be possible.